The path through the park runs from the centre of the city into the wilds of the countryside. At weekends the area is a playground for children and walkers, but during the week it is silent and deserted. When six-year-old Lucy gets lost there one day, her disappearance sparks a chain of events leading to the murder of a young woman. Lucy tries to warn the people she cares about of the danger: she knows that there are monsters lurking in the rambling park, and she knows that they are getting closer. What should be a straightforward investigation leads DI Steve McCarthy into a web of lies and evasions, where nothing is quite as it seems and everyone seems to be hiding something. With each step forward McCarthy faces new questions, and if he is to prevent an escalation in violence, he has to find some answers - fast. "With its strong atmosphere, well-conceived narrative and topical concerns, Silent Playgrounds is a superior thriller." 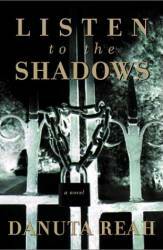 "Suspense scrupulously assembled; excitements dovetail with themes of genuine concern... Reah's second novel is seriously good." 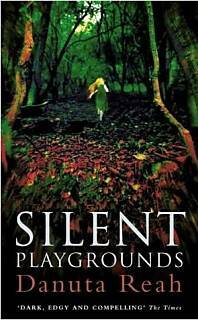 "Reah has produced another gripping suspense novel"
" Silent Playgrounds is a complex and terrifying novel in which the devils and fairies of a child's make-believe world turn out to be rooted in reality... The women are back in full force with psychological thrillers that'll make your hair stand on end. But don't turn your back - their touch is lethal." 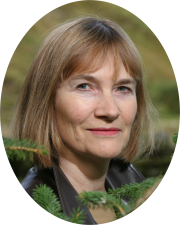 "Disturbing would be too mild a term to apply to Danuta Reah's writing, for here she invokes a sense of mouldering but still potential evil, of menacing footsteps closing in, of the darkness around the corner." "This is a complex psychological thriller. Reah is skilled at splicing domestic life with the menace of fears and at creating characters who are vulnerable, intelligent and humane." "An atmospheric thriller shot through with a genuine sense of dread"
Order the paperback from your favourite bookshop, (ISBN: 978-0- 0073-7944-6) or buy from Amazon.UK. Some foreign editions of Silent Playgrounds : published in French as L'assassin du parc , in German as Plötsliche Stille ) and in Spanish as Silencio en el parque .